From Paper to Digital – Now What? Many companies have made the transition from hard copy documents to digital files, while others are in the process of converting paper to pixels. There are several benefits to be realized from making the conversion. However, once the conversion is made, the issue of how to dispose of the old documents arises. For many companies, commercial shredding services represent the best option for completing the conversion from paper to digital. No matter how efficient your filing system is, once your collection of documents grows into the hundreds, let alone thousands, accessing them becomes unwieldy, if not downright unmanageable. The logistics of storing all that paper means that entire rooms or structures must be dedicated to storage, either on-site or off-site. Accessing specific information from hard copy documents can also be a challenge. Detailed outlines must be generated and maintained for each document. Barring that, the tedious task of skimming individual documents requires valuable time and energy that could be more productively spent otherwise. Transporting paper documents can also be costly. The costs associated with maintaining paper files are substantial. According to industry elements, each paper document costs $5 to file and $20 to retrieve. Paper documents are also vulnerable to damage from water, fire, pests, and fading. It is estimated that more than 7 percent of paper documents are lost or misplaced. Reproducing those documents, including text, graphics and layout can cost as much as $250. Much of that cost is associated with the personnel costs associated with producing paper documents: the average business user types less than 50 words per minute. It is undoubtedly true that converting paper documents to digital files is often lengthy and labor intensive. Documents must be scanned – and the resulting digital files must often be “cleaned” or otherwise corrected. Some documents cannot be scanned, which means manually typing text onto electronic documents and storing them in searchable format. Nonetheless, once the conversion is made, the investment of time and personnel hours is quickly made up. This is because digital documents can be stored on high-capacity external drives, thumb drives, or in the cloud. 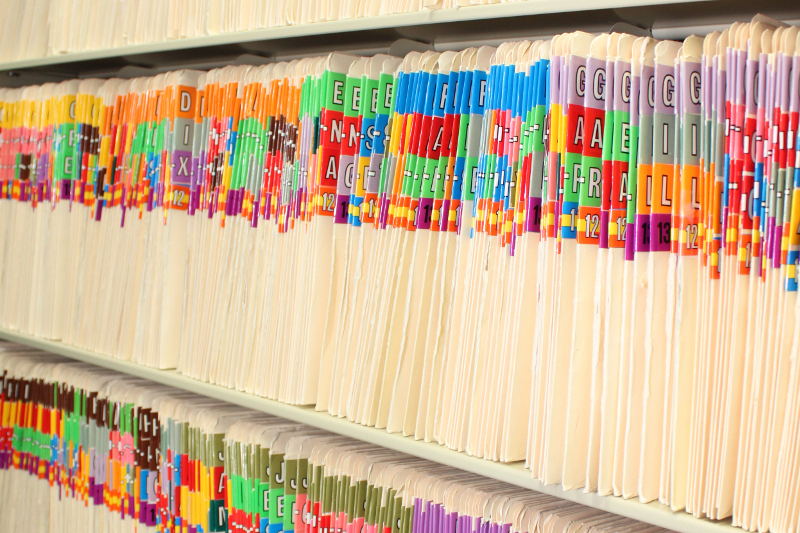 Documents can be made searchable to facilitate finding the information you need. Transmitting digital documents can be accomplished at little or no cost via email or other electronic transmission. The risk of loss for digital documents can be minimized by strong security and storing multiple copies in separate locations. The process of converting to digital raises the question of how to dispose of the old paper records. Many documents contain sensitive information, and simply tossing them in the trash would not only be irresponsible – doing so could put your company or organization at risk for identity theft or adverse legal action. Recycling is a viable option for old documents that do not contain sensitive information. However, it is often necessary to transport the old documents to recycling centers, which are frequently located in remote areas. Do-it-yourself shredders may also be adequate for individual households or one-person shops. However, many inexpensive shredders only shred documents vertically, leaving the possibility that they could be retrieved and put back together. Cross-cut shredders are more secure, but consumer-grade shredders often lack the capacity to dispose of large amounts of documents. By contrast, commercial grade shredding services possess the capacity to handle one-time bulk shredding jobs or provide ongoing shredding services at regular intervals. The best shredding services guarantee confidentiality by transporting your company’s sealed boxes to locked trucks that are driven directly to secure shredding facilities. Commercial shredding from MCF Environmental Services is often affordable even for small companies thanks to bundled service packages and up-front pricing. To learn more about our confidential document shredding services, check out our website, or give us a call today.